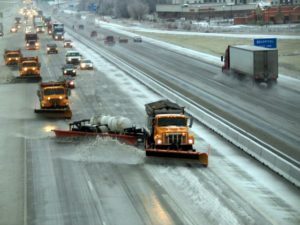 IS ROAD SALT RESIDUE COMPROMISING YOUR FLEET EQUIPMENT? IS YOUR TRAILER UP TO THE USDA AND FDA SANITATION STANDARDS? Fight Back with Wash Dynamics’ CorroDyne System. The only nitrate mitigation program available that will effectively manage large scale Fleet Corrosion Protection. Proven Multi-Stage System Excels in Fighting Corrosion. Neutralize Nitrates and Protect your Fleet! Magnesium and Calcium Based Super Salts are wreaking havoc on North Bound Fleets. Protect your Over the Road Equipment with CorroDyne, our automated undercarriage wash and treatment system. CorroDyne mitigates the negative impact of nitrate residue not neutralized or removed in a typical truck wash environment. Beginning with a focused rinse process that removes bulk contaminants, the CorroDyne System automatically applies Wash Dynamics’ specialized CorroWash chemical treatment. CorroWash releases and removes nitrates from the vehicle, protecting running-gear and undercarriage components. Additional chemical applications of FleetShield Corrosion Inhibitor can then be sequenced based upon particular equipment requirements. Costs due to Corrosion have exploded due to modern road salt programs, and expecting calcium and magnesium nitrate residues to be washed away with your current wash system is unrealistic. These nitrates are stubborn, chemically attaching to affected equipment and not effectively removed with standard detergents or water. The CorroWash solution is formulated specifically to attack and neutralize the nitrates, which are then easily removed from fleet equipment with an additional rinse application. CorroDyne is modular in design: it can be integrated into any existing large vehicle wash system, configured as a stand alone system, or included and coordinated as a component of a new Exterior Truck Wash Installation. Corrodyne is what the name implies- a dynamic system composed of automated hardware components coupled with custom chemical formulations. The combination of each is defined expressly for particular installations and customized based upon environmental, fleet and corporate needs. American made with the finest equipment elements, CorroDyne is an effective tool to combat the environmental destruction of fleet components.